In skillet, brown meat; drain off fat. Stir in oregano leaves and spaghetti sauce; simmer 5 minutes. Combine ricotta cheese, egg and parsley. In a 13 x 9- inch baking dish, lightly cover bottom of dish with sauce. 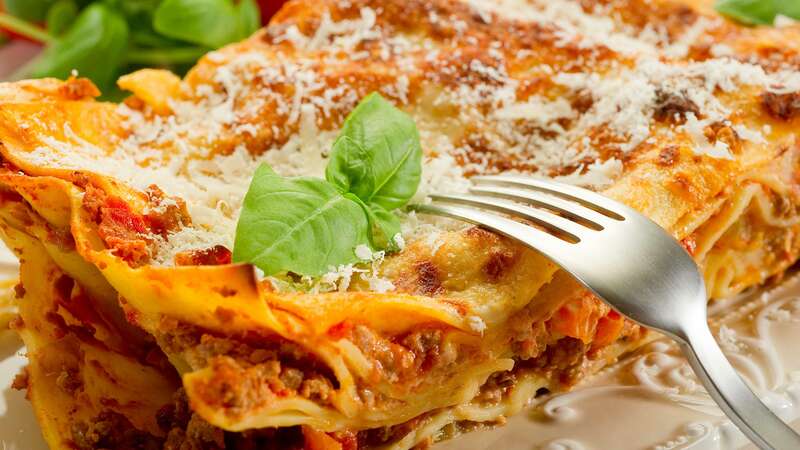 Create layers of pasta, sauce, ricotta mixture and mozzarella. Repeat layers ending with mozzarella. Cover with foil and bake for 40 minutes. Remove foil and bake 5 minutes longer. Remove from oven and sprinkle with freshly grated Parmesan cheese. Cool 5 minutes before cutting.